Are you using too much toilet paper? Human hygiene practices are commonly considered private territory. However, when it comes to excessive toilet paper usage in a shared space, the issue requires public attention. 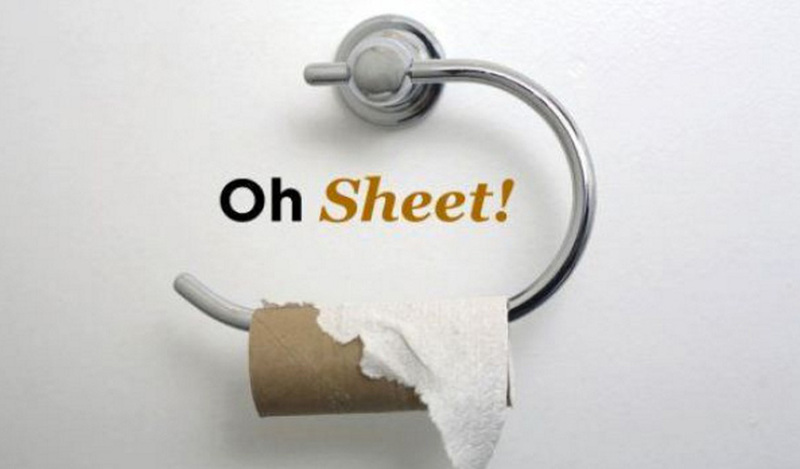 Using too much toilet paper can be costly and annoying to say the least. It may cause emergency runs in the middle of a work day, consistent roll replacement or repeated unnecessary unclogging. If your commercial workspace or business has ever experienced any of these uncomfortable obstacles, here are a few tips for improving the situation. How often are you changing your toilet paper rolls? Consider the number of people with consistent access and compare that with the roll replacement timeline. It’s always important to analyze the problem first. Compare numbers with similarly-sized commercial buildings owners to determine crises severity in your business restrooms. How often does someone have to go for an emergency TP run? Frequent emergency runs effect working hours. If you’re supplying your office, then someone would have to waste valuable work time to solve this unnecessary problem. If you’re supplying toilet paper to customers, then the situation would become an embarrassing one. Avoid these situations by staying ahead of the came with your restroom stock supply. How often does the toilet require unclogging? This is another great way to assess potential overuse. Many toilets are sensitive to excessive sheet usage. This can become an annoying problem. Help the situation by placing accessible waste bins. Whether it’s too much TP or other waste materials, a clogged toilet is not a fun problem. Consider implementing small signs acceptable and unacceptable flushing items. There are many ways to give a hint without seeming too personal. You may not want to give a public announcement or blast a company email. Greeting customers with a list bathroom rules is a bad plan too. Using neat or funny signs are great ways to get your point across. A simple, clear document is often the best way to get the point across. It’s direct yet indirect. Facility users will get the point. Maybe you’ll want to give guests a helpful point of reference. A good rule of thumb for toilet paper usage is 4-5 squares of medium-quality or 2-ply tissue paper. Any more than this for a single use becomes a bit wasteful and unnecessary. When you buy toilet paper, you’re literally spending money to be flushed down the drain. Understanding the cash equivalent will help when considering how much is necessary. Most people will use way too much regardless of the quality. Either you can respond to this by supplying cheaper rolls or fight it by placing instructive signs. Consider the quality of toilet paper you are purchasing. A good rule of thumb is to shoot for medium-quality, 2 ply paper. This works well with the usage rule of thumb and is reasonably priced. Another option is to place boxes of baby wipes in each bathroom stall. When things get messy these handy wipes will do the job much better than handfuls of toilet paper. They’re designed for bigger messes than regular toilet paper.